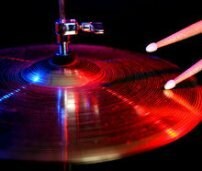 Almost Free Drum Tabs on Demand! Guaranteed accurate drum sheet music transcriptions for any song you want. Order any custom drum tab and receive it within 5 days. All of our drum transcriptions are written in traditional sheet music format. Your drum tab will be delivered in a printable PDF file. FIRST LOOK HERE: MAIN DRUM TABS PAGE for the tabs that are already available on this site. If the tab you want is not there yet, request the tab and I will write it especially for you and put it on the site within 5 days! (NOTE: Due to huge numbers of orders, I have had to change the maximum turnaround time from 3 to 5 days. Keep in mind that it will almost NEVER be that long. I just want to be sure I can deliver what I promise!) You will be notified by email when your tab is ready. **Please limit your orders to actual song recordings. I will not be able to do transcriptions from YouTube or recordings of local bands not commercially available. IMPORTANT: You MUST include your email address on the page which comes up after you submit your order! When your tab is ready, you will receive an email. When you purchase the tab, you should click on the "continue" link on the PayPal payment page. This will lead you to a download page.